Italy was an important member of the Axis powers in World War II, until it signed an armistice with the Allies in September 1943 after ousting Mussolini and shutting down the Fascist Party in areas (south of Rome) controlled by the Allies. The remnant fascist state in northern Italy that continued fighting against the Allies was a puppet state of Nazi Germany, the Italian Social Republic, still led by Mussolini and his Fascist loyalists. The post-armistice period saw the rise of the Italian Resistance, opposers of the Italian Fascism and the occupying German forces, which joined the Allies and led to the liberation of the country. Shortly after the war, civil discontent led to the 1946 institutional referendum on whether Italy would remain a monarchy or become a republic. Italians decided to abandon the monarchy and form the Italian Republic, the present-day Italian state. With the concept of totalitarianism, Mussolini and the Fascist regime set an agenda of improving Italian culture and society based on ancient Rome, personal dictatorship and some futurist aspects of Italian intellectuals and artists. Under Fascism, the definition of the Italian nationality rested on a militarist foundation and the Fascist's "new man" ideal in which loyal Italians would rid themselves of individualism and autonomy and see themselves as a component of the Italian state and be prepared to sacrifice their lives for it. Under such a totalitarian society, only Fascists would be considered "true Italians" and membership and endorsement of the Fascist Party was necessary for people to gain "Complete Citizenship", as those who did not swear allegiance to Fascism were banished from public life and could not gain employment. The Fascist government also reached out to Italians living overseas to endorse the Fascist cause and identify with Italy rather than their places of residence. Despite efforts to mould a new culture for fascism, Fascist Italy's efforts were not as drastic or successful in comparison to other one-party states like Nazi Germany and the Soviet Union in creating a new culture. Mussolini's propaganda idolized him as the nation's saviour and the Fascist regime attempted to make him omnipresent in Italian society. Much of Fascism's appeal in Italy was based on the personality cult around Mussolini and his popularity. Mussolini's passionate oratory and personality cult was displayed at huge rallies and parades of his Blackshirts in Rome which served as an inspiration to Adolf Hitler and the Nazi Party in Germany. The Fascist regime established propaganda in newsreels, radio broadcasting and a few feature films deliberately endorsing Fascism. In 1926, laws were passed to require that propaganda newsreels be shown prior to all feature films in cinemas. These newsreels were more effective in influencing the public than propaganda films or radio, as few Italians had radio receivers at the time. Fascist propaganda was widely present in posters and state-sponsored art. However, artists, writers and publishers were not strictly controlled: they were only censored if they were blatantly against the state. There was a constant emphasis on the masculinity of the "new Italian", stressing aggression, virility, youth, speed and sport. Women were to attend to motherhood and stay out of public affairs. In 1870 the newly formed Kingdom of Italy annexed the remaining Papal States, depriving the Pope of his temporal power. Relations with the Roman Catholic Church improved significantly during Mussolini's tenure. Despite earlier opposition to the Church, after 1922 Mussolini made an alliance with the Catholic Partito Popolare Italiano (Italian People's Party). In 1929, Mussolini and the papacy came to an agreement that ended a standoff that reached back to 1860 and had alienated the Church from the Italian government. The Orlando government had begun the process of reconciliation during World War I and the Pope furthered it by cutting ties with the Christian Democrats in 1922. Mussolini and the leading Fascists were anti-clericals and atheists, but they recognized the opportunity of warmer relations with Italy's large Roman Catholic element. The Lateran Accord of 1929 was a treaty that recognized the Pope as the head of the new micro-nation of Vatican City within Rome, which gave it independent status and made the Vatican an important hub of world diplomacy. The Concordat of 1929 made Roman Catholicism the sole religion of the State (although other religions were tolerated), paid salaries to priests and bishops, recognized religious marriages (previously couples had to have a civil ceremony) and brought religious instruction into the public schools. In turn, the bishops swore allegiance to the Italian Fascist régime, which had a veto power over their selection. A third agreement paid the Vatican 1.75 billion lira (about $100 million) for the seizures of Church property since 1860. The Catholic Church was not officially obligated to support the Fascist régime and the strong differences remained, but the seething hostility ended. The Church especially endorsed foreign policies such as support for the anti-communist side in the Spanish Civil War and support for the Italian invasion of Ethiopia. Friction continued over the Catholic Action (Azione Cattolica) youth network, which Mussolini wanted to merge into his Fascist youth group. In 1931, Pope Pius XI issued the encyclical Non abbiamo bisogno ("We Have No Need") that denounced the regime's persecution of the Church in Italy and condemned "pagan worship of the state". The Papal spiritual rule over Italy was restored by the Italian Fascist régime (albeit on a greatly diminished scale) in 1929 as head of the Vatican City state; under Mussolini's dictatorship, Roman Catholicism became the State religion of Fascist Italy. In March 1929, a nationwide plebiscite was held to publicly endorse the Treaty. Opponents were intimidated by the Fascist régime: the Catholic Action instructed Italian Roman Catholics to vote for Fascist candidates to represent them in positions in churches and Mussolini claimed that "no" votes were of those "few ill-advised anti-clericals who refuse to accept the Lateran Pacts". Nearly 9 million Italians voted or 90 per cent of the registered electorate and only 136,000 voted "no". In 1938, the Italian Racial Laws and the Manifesto of Race were promulgated by the Fascist régime, enforced to outlaw and persecute both Italian Jews and Protestant Christians, especially Evangelicals and Pentecostals. Thousands of Italian Jews and a small number of Protestants died in the Nazi concentration camps. The Lateran Treaty remains in place to this day. On the issue of antisemitism, the Fascists were divided on what to do, especially with the rise of Hitler in Germany. A number of Fascist members were Jewish and Mussolini himself did not personally believe in antisemitism, but to appease Hitler antisemitism within the Fascist Party steadily increased. In 1936, Mussolini made his first written denunciation of Jews by claiming that antisemitism had only arisen because Jews had become too predominant in the positions of power of countries and claimed that Jews were a "ferocious" tribe who sought to "totally banish" Christians from public life. In 1937, Fascist member Paolo Orano criticized the Zionist movement as being part of British foreign policy which designed to secure British hold of the area without respecting the Christian and Islamic presence in Palestine. On the matter of Jewish Italians, Orano said that they "should concern themselves with nothing more than their religion" and not bother boasting of being patriotic Italians. [T]he Jewish question cannot be converted into a universal campaign of hatred against the Jews ... Considering that in many places certain groups of Jews are installed in conquered countries, exercising in an open and occult manner an influence injurious to the material and moral interests of the country which harbors them, constituting a sort of state within a state, profiting by all benefits and refusing all duties, considering that they have furnished and are inclined to furnish, elements conducive to international revolution which would be destructive to the idea of patriotism and Christian civilization, the Conference denounces the nefarious action of these elements and is ready to combat them. Italian Fascism adopted antisemitism in the late 1930s and Mussolini personally returned to invoke antisemitic statements as he had done earlier. The Fascist regime used antisemitic propaganda for the Spanish Civil War from 1937 to 1938 that emphasized that Italy was supporting Spain's Nationalist forces against a "Jewish International." The Fascist regime's adoption of official antisemitic racial doctrine in 1938 met opposition from Fascist members including Balbo, who regarded antisemitism as having nothing to do with Fascism and staunchly opposed the antisemitic laws. In 1938, under pressure from Germany, Mussolini made the regime adopt a policy of antisemitism, which was extremely unpopular in Italy and in the Fascist Party itself. As a result of the laws, the Fascist regime lost its propaganda director, Margherita Sarfatti, who was Jewish and had been Mussolini's mistress. A minority of high-ranking Fascists were pleased with the antisemitic policy such as Roberto Farinacci, who claimed that Jews through intrigue had taken control key positions of finance, business and schools and he claimed that Jews sympathized with Ethiopia during Italy's war with it and that Jews had sympathized with Republican Spain during the Spanish Civil War. In 1938, Farinacci became the minister in charge of culture and adopted racial laws designed to prevent racial intermixing which included antisemitism. Until the armistice with the Allies in September 1943, the Italian Jewish community was protected from deportation to the German death camps in the east. With the armistice, Hitler took control of the German-occupied territory in the North and began an effort to liquidate the Jewish community under his control. Shortly after the entry of Italy into the war, numerous camps were established for the imprisonment of enemy aliens and Italians suspected to be hostile to the regime. In contrast to the brutality of the National Socialist-run camps, the Italian camps allowed families to live together and there was a broad program of social welfare and cultural activities. The Fascist government endorsed a stringent education policy in Italy aiming at eliminating illiteracy, which was a serious problem in Italy at the time, as well as improving the allegiance of Italians to the state. To reduce drop-outs, the government changed the minimum age of leaving school from twelve to fourteen and strictly enforced attendance. The Fascist government's first minister of education from 1922 to 1924 Giovanni Gentile recommended that education policy should focus on indoctrination of students into Fascism and to educate youth to respect and be obedient to authority. In 1929, education policy took a major step towards being completely taken over by the agenda of indoctrination. In that year, the Fascist government took control of the authorization of all textbooks, all secondary school teachers were required to take an oath of loyalty to Fascism and children began to be taught that they owed the same loyalty to Fascism as they did to God. In 1933, all university teachers were required to be members of the National Fascist Party. From the 1930s to 1940s, Italy's education focused on the history of Italy displaying Italy as a force of civilization during the Roman era, displaying the rebirth of Italian nationalism and the struggle for Italian independence and unity during the Risorgimento. In the late 1930s, the Fascist government copied Nazi Germany's education system on the issue of physical fitness and began an agenda that demanded that Italians become physically healthy. A major success in social policy in Fascist Italy was the creation of the Opera Nazionale Dopolavoro (OND) or "National After-work Program" in 1925. The OND was the state's largest recreational organizations for adults. The Dopolavoro was so popular that by the 1930s all towns in Italy had a Dopolavoro clubhouse and the Dopolavoro was responsible for establishing and maintaining 11,000 sports grounds, over 6,400 libraries, 800 movie houses, 1,200 theaters and over 2,000 orchestras. Membership was voluntary and nonpolitical. In the 1930s, under the direction of Achille Starace, the OND became primarily recreational, concentrating on sports and other outings. It is estimated that by 1936 the OND had organized 80% of salaried workers. Nearly 40% of the industrial workforce had been recruited into the Dopolavoro by 1939 and the sports activities proved popular with large numbers of workers. 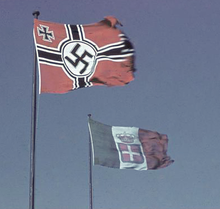 The OND had the largest membership of any of the mass Fascist organizations in Italy. The enormous success of the Dopolavoro in Fascist Italy prompted Nazi Germany to create its own version of the Dopolavoro, the Kraft durch Freude (KdF) or "Strength through Joy" program, which was even more successful than the Dopolavoro. For security of the regime, Mussolini advocated complete state authority and created the Milizia Volontaria per la Sicurezza Nazionale ("National Security Volunteer Militia") in 1923, which are commonly referred to as "Blackshirts" for the color of their uniforms. Most of the Blackshirts were members from the Fasci di Combattimento. A secret police force called the Organizzazione di Vigilanza Repressione dell'Antifascismo ("Organization for Vigilance and Repression of Anti-Fascism") or OVRA was created in 1927. It was led by Arturo Bocchini to crack down on opponents of the regime and Mussolini (there had been several near-miss assassination attempts on Mussolini's life in his early years in power). This force was effective, but unlike the Schutzstaffel (SS) in Germany or the NKVD of the Soviet Union, the OVRA caused far fewer deaths of political opponents. However, Fascists methods of repression were cruel which included physically forcing opponents of Fascism to swallow castor oil which would cause severe diarrhea and dehydration, leaving the victim in a painful and physically debilitated state which would sometimes result in death. To combat Italian organized crime, notably the Cosa Nostra in Sicilia and the 'Ndrangheta in Calabria, the Fascist government gave special powers in 1925 to Cesare Mori, the prefect of Palermo. These powers gave him the ability to prosecute the Mafia, forcing many Mafiosi to flee abroad (many to the United States) or risk being jailed. However, Mori was fired when he began to investigate Mafia links within the Fascist regime and was removed from his position in 1929, when the Fascist regime declared that the threat of the Mafia had been eliminated. Mori's actions weakened the Mafia, but did not destroy them. From 1929 to 1943, the Fascist regime completely abandoned its previously aggressive measures against the Mafia and the Mafiosi were left relatively undisturbed. The corporate State considers that private enterprise in the sphere of production is the most effective and useful instrument in the interest of the nation. In view of the fact that private organisation of production is a function of national concern, the organiser of the enterprise is responsible to the State for the direction given to production. State intervention in economic production arises only when private initiative is lacking or insufficient, or when the political interests of the State are involved. This intervention may take the form of control, assistance or direct management. Fascists claimed that this system would be egalitarian and traditional at the same time. The economic policy of corporatism quickly faltered: the left-wing elements of the Fascist manifesto were opposed by industrialists and landowners who supported the party because it pledged to defend Italy from socialism. As a result, corporatist policy became dominated by the industries. Initially, economic legislation mostly favoured the wealthy industrial and agrarian classes by allowing privatization, liberalization of rent laws, tax cuts and administrative reform. However, economic policy changed drastically following the Matteotti Crisis where Mussolini began pushing for a totalitarian state. In 1926, the Syndical laws (also known as the Rocco laws) were passed, organizing the economy into 12 separate employer and employee unions. The unions were largely state-controlled and were mainly used to suppress opposition and reward political loyalty. While the Fascist unions could not protect workers from all economic consequences, they were responsible for the handling of social security benefits, claims for severance pay and could sometimes negotiate contracts that benefited workers. After the Great Depression hit the world economy in 1929, the Fascist regime followed other nations in enacting protectionist tariffs and attempted to set direction for the economy. In the 1930s, the government increased wheat production and made Italy self-sufficient for wheat, ending imports of wheat from Canada and the United States. However, the transfer of agricultural land to wheat production reduced the production of vegetables and fruit. Despite improving production for wheat, the situation for peasants themselves did not improve, as 0.5% of the Italian population (usually wealthy) owned 42 percent of all agricultural land in Italy and income for peasants did not increase while taxes did increase. The Depression caused unemployment to rise from 300,000 to 1 million in 1933. It also caused a 10 percent drop in real income and a fall in exports. Italy fared better than most western nations during the Depression: its welfare services did reduce the impact of the Depression. Its industrial growth from 1913 to 1938 was even greater than that of Germany for the same time period. Only the United Kingdom and the Scandinavian nations had a higher industrial growth during that period. Italy's colonial expansion into Ethiopia in 1936 proved to have a negative impact on Italy's economy. The budget of the colony of Italian East Africa in the 1936–1937 fiscal year requested from Italy 19.136 billion lire to be used to create the necessary infrastructure for the colony. At the time, Italy's entire revenue that year was only 18.581 billion lire. In 1933, Italy made multiple technological achievements. The Fascist government spent large sums of money on technological projects such as the construction of the new Italian ocean liner SS Rex which in 1933 made a transatlantic sea crossing record of four days. as well as funding the development of the Macchi M.C.72 seaplane which became the world's fastest seaplane in 1933 and retained the title in 1934. In 1933, Fascist government member Italo Balbo, who was also an aviator, made a transatlantic flight in a flying boat to Chicago for the World's Fair known as the Century of Progress. The flight symbolized the power of Fascist leadership and the industrial and technological progress the state had made under Fascist direction. Stephen Lee identifies three major themes in Mussolini's foreign-policy. The first was a continuation of the foreign-policy objectives of the preceding Liberal regime. Liberal Italy had allied itself with Germany and Austria and had great ambitions in the Balkans and North Africa. It had been badly defeated in Ethiopia in 1896, when there was a strong demand for seizing that country. Second was a profound disillusionment after the heavy losses of the First World War. The small territorial gains from Austria were not enough to compensate for the war's terrible costs and other countries, especially Poland and Yugoslavia, received much more and Italy felt cheated. Third was Mussolini's promise to restore the pride and glory of the old Roman Empire. Mussolini promised to revive Italy's status as a Great Power in Europe, carving out a "New Roman Empire". Mussolini promised that Italy would dominate the Mediterranean Sea. In propaganda, the Fascist government used the originally ancient Roman term "Mare Nostrum" (Latin for "Our Sea") to refer to the Mediterranean Sea. The Fascist regime increased funding and attention to military projects and began plans to create an Italian Empire in Northern and Eastern Africa and reclaim dominance in the Mediterranean Sea and Adriatic Sea. The Fascists launched wars to conquer Dalmazia, Albania and Greece for the Italian Empire. Colonial efforts in Africa began in the 1920s, as civil war plagued Italian North Africa (Africa Settentrionale Italiana, or ASI) as the Arab population there refused to accept Italian colonial government. Mussolini sent Marshal Rodolfo Graziani to lead a punitive pacification campaign against the Arab nationalists. Omar Mukhtar, led the Arab resistance movement. After a much-disputed truce on 3 January 1928, the Fascist policy in Libya increased in brutality. A barbed wire fence was built from the Mediterranean Sea to the oasis of Jaghbub to sever lines critical to the resistance. Soon afterwards, the colonial administration began the wholesale deportation of the people of the Jebel Akhdar to deny the rebels the support of the local population. The forced migration of more than 100,000 people ended in concentration camps in Suluq and Al-'Aghela where tens of thousands died in squalid conditions. It is estimated that the number of Libyans who died – killed either through combat or starvation and disease – was at least 80,000, and up to half of the Cyrenaican population. After Al-Mukhtar's capture on 15 September 1931 and his execution in Benghazi, the resistance petered out. Limited resistance to the Italian occupation crystallized around Sheik Idris, the Emir of Cyrenaica. Negotiations occurred with the British government on expanding the borders of the colony of Libya. The first negotiations began in 1925 to define the border between Libya and British-held Egypt. These negotiations resulted in Italy gaining previously undefined territory. In 1934, once again the Italian government requested more territory for Libya from British-held Sudan. The United Kingdom allowed Italy to gain some territory from Sudan to add to Libya. These concessions were probably allowed because of the relatively good relations between Italy and Britain prior to 1935. In 1935, Mussolini believed that the time was right for Italy to invade Ethiopia (also known as Abyssinia) to make it a colony. As a result, the Second Italo-Abyssinian War erupted. Italy invaded Ethiopia from the Italian colonies of Eritrea and Somaliland. Italy committed atrocities against the Ethiopians during the war, including the use of aircraft to drop poison gas on the defending Ethiopian soldiers. Ethiopia surrendered in 1936, completing Italy's revenge for its failed colonial conquest of the 1880s. King Victor Emmanuel III was soon proclaimed Emperor of Ethiopia. The international consequences for Italy's belligerence resulted in its isolation at the League of Nations. France and Britain quickly abandoned their trust of Mussolini. The only nation to back Italy's aggression was Germany. After being condemned by the League of Nations, the Grand Council of Fascism declared Italy's decision to leave the League on 11 December 1937 and Mussolini denounced the League as a mere "tottering temple". Until 1938, Mussolini had denied any antisemitism within Fascist Italy and dismissed the racial policies of Nazi Germany. However, by mid-1938 Hitler's influence over Mussolini had persuaded him to make a specific agenda on race, the Fascist regime moved away from its previous promotion of colonialism based on the spread of Italian culture to a directly race-oriented colonial agenda. In 1938, Fascist Italy passed the Manifesto of Race which stripped Jews of their Italian citizenship and prohibited them from any professional position. The racial laws declared that Italians were of the Aryan race and forbid sexual relations and marriages between Italians and Jews and Africans. The Fascist regime declared that it would promote mass Italian settlements in the colonies that would—in the Fascist government's terms—"create in the heart of the African continent a powerful and homogeneous nucleus of whites strong enough to draw those populations within our economic orbit and our Roman and Fascist civilization". Fascist rule in its Italian colonies differed from region to region. Rule in Italian East Africa (Africa Orientale Italiana, or AOI), a colony including Ethiopia, Eritrea and Italian Somaliland, was harsh for the native peoples as Fascist policy sought to destroy native culture. In February 1937, Rodolfo Graziani ordered Italian soldiers to pillage native settlements in Addis Ababa, which resulted in hundreds of Ethiopians being killed and their homes being burned to the ground. After the occupation of Ethiopia, the Fascist government endorsed racial segregation to reduce the number of mixed offspring in Italian colonies, which they claimed would "pollute" the Italian race. Marital and sexual relationships between Italians and Africans in its colonies were made a criminal offense when the Fascist regime implemented decree-law No. 880 19 April 1937 which gave sentences of one to five years imprisonment to Italians caught in such relationships. The law did not give any sentences to native Africans, as the Fascist government claimed that only those Italians were to blame for damaging the prestige of their race. Despite racist language used in some propaganda, the Fascist regime accepted recruitment of native Africans who wanted to join Italy's colonial armed forces and native African colonial recruits were displayed in propaganda. Fascist Italy embraced the "Manifesto of the Racial Scientists" which embraced biological racism and it declared that Italy was a country populated by people of Aryan origin, Jews did not belong to the Italian race and that it was necessary to distinguish between Europeans and Jews, Africans and other non-Europeans. The manifesto encouraged Italians to openly declare themselves as racists, both publicly and politically. Fascist Italy often published material that showed caricatures of Jews and Africans. In Italian Libya, Mussolini downplayed racist policies as he attempted to earn the trust of Arab leaders there. Individual freedom, inviolability of home and property, right to join the military or civil administrations and the right to freely pursue a career or employment were guaranteed to Libyans by December 1934. In a famous trip to Libya in 1937, a propaganda event was created when on March 18 Mussolini posed with Arab dignitaries who gave him an honorary "Sword of Islam" (that had actually been crafted in Florence), which was to symbolize Mussolini as a protector of the Muslim Arab peoples there. In 1939, laws were passed that allowed Muslims to be permitted to join the National Fascist Party and in particular the Muslim Association of the Lictor (Associazione Musulmana del Littorio) for Islamic Libya and the 1939 reforms allowed the creation of Libyan military units within the Italian Army. The Fascist regime also engaged in interventionist foreign policy in Europe. In 1923, Italian soldiers captured the Greek island of Corfu as part of the Fascists' plan to eventually take over Greece. Corfu was later returned to Greece and war between Greece and Italy was avoided. In 1925, Italy forced Albania to become a de facto protectorate which helped Italy's stand against Greek sovereignty. Corfu was important to Italian imperialism and nationalism due to its presence in the former Republic of Venice which left behind significant Italian cultural monuments and influence, though the Greek population there (especially youth) heavily protested the Italian occupation. Relations with France were mixed: the Fascist regime consistently had the intention to eventually wage war on France to regain Italian-populated areas of France, but with the rise of Hitler the Fascists immediately became more concerned of Austria's independence and the potential threat of Germany to Italy, if it demanded the German-populated areas of Tyrol. Due to concerns of German expansionism, Italy joined the Stresa Front with France and Britain against Germany which existed from 1935 to 1936. The Fascist regime held negative relations with Yugoslavia, as they long wanted the implosion of Yugoslavia in order to territorially expand and increase Italy's power. Italy pursued espionage in Yugoslavia, as Yugoslav authorities on multiple occasions discovered spy rings in the Italian Embassy in Yugoslavia, such as in 1930. In 1929, the Fascist government accepted Croatian extreme nationalist Ante Pavelić as a political exile to Italy from Yugoslavia. The Fascists gave Pavelić financial assistance and a training ground in Italy to develop and train his newly formed fascist militia and terrorist group, the Ustaše. This organization later became the governing force of the Independent State of Croatia, and murdered hundreds of thousands of Serbs, Jews and Roma during World War II. After Germany annexed Czechoslovakia, Mussolini turned his attention to Albania. On 7 April 1939, Italy invaded the country and after a short campaign Albania was occupied and its parliament crowned Victor Emmanuel III King of Albania. The historical justification for the annexation of Albania laid in the ancient history of the Roman Empire in which the region of Albania had been an early conquest for the Romans, even before Northern Italy had been taken by Roman forces. However, by the time of annexation little connection to Italy remained amongst Albanians. In actuality, the annexation of Albania was far from a military conquest as the country had been a de facto protectorate of Italy since the 1920s and much of its army were commanded by Italian officers sent from Italy. The occupation was not appreciated by King Emmanuel III, who feared that it had isolated Italy even further than its war against Ethiopia. In 1936 in Spain, the Fascist regime made its most significant pre-war military intervention. The Spanish Republic was divided in the Spanish Civil War between the anticlerical socialist Republicans and the Church-supporting nationalists led by Francisco Franco under fascist Falange movement. Italy sent aircraft, weapons and a total of over 60,000 troops to aid the Spanish nationalists. The war helped train the Italian military for war and improve relations with the Roman Catholic Church. It was a success that secured Italy's naval access in and out of the Mediterranean Sea to the Atlantic Ocean and its ability to pursue its policy of Mare Nostrum without fear of opposition by Spain. The other major foreign contributor to the Spanish Civil War was Germany. This was the first time that Italian and German forces fought together since the Franco-Prussian War in the 1870s. During the 1930s, Italy built many large battleships and other warships to solidify Italy's hold on the Mediterranean Sea. Italy was Nazi Germany's biggest ally for most of the regime's existence. When the Nazi Party attained power in Germany in 1933, Mussolini and the Fascist regime in public showed approval of Hitler's regime, with Mussolini saying: "The victory of Hitler is our victory". The Fascist regime also spoke of creating an alliance with the new regime in Germany. In private, Mussolini and the Italian Fascists showed disapproval of the National Socialist government and Mussolini had a disapproving view of Hitler despite ideological similarities. The Fascists distrusted Hitler's Pan-German ideas which they saw as a threat to territories in Italy that previously had been part of the Austrian Empire. Although other National Socialists disapproved of Mussolini and Fascist Italy, Hitler had long idolized Mussolini's oratorical and visual persona and adopted much of the symbolism of the Fascists into the National Socialist Party, such as the Roman, straight-armed salute, dramatic oratory, the use of uniformed paramilitaries for political violence and the use of mass rallies to demonstrate the power of the movement. In 1922, Hitler tried to ask for Mussolini's guidance on how to organize his own version of the "March on Rome" which would be a "March on Berlin" (which came into being as the failed Beer Hall Putsch in 1923). Mussolini did not respond to Hitler's requests as he did not have much interest in Hitler's movement and regarded Hitler to be somewhat crazy. Mussolini did attempt to read Mein Kampf to find out what Hitler's National Socialist movement was, but was immediately disappointed, saying that Mein Kampf was "a boring tome that I have never been able to read" and remarked that Hitler's beliefs were "little more than commonplace clichés". While Mussolini like Hitler believed in the cultural and moral superiority of whites over colored peoples, he opposed Hitler's antisemitism. A number of Fascists were Jewish, including Mussolini's mistress Margherita Sarfatti, who was the director of Fascist art and propaganda, and there was little support amongst Italians for antisemitism. Mussolini also did not evaluate race as being a precursor of superiority, but rather culture. Hitler and the National Socialists continued to try to woo Mussolini to their cause and eventually Mussolini gave financial assistance to the Nazi Party and allowed National Socialist paramilitaries to train in Italy in the belief that despite differences, a nationalist government in Germany could be beneficial to Italy. As suspicion of the Germans increased after 1933, Mussolini sought to ensure that Germany would not become the dominant nationalist state in Europe. To do this, Mussolini opposed German efforts to annex Austria after the assassination of fascist Austrian President Engelbert Dollfuss in 1934 and promised the Austrians military support if Germany were to interfere. This promise helped save Austria from annexation in 1934. Public appearances and propaganda constantly portrayed the closeness of Mussolini and Hitler and the similarities between Italian Fascism and German National Socialism. While both ideologies had significant similarities, the two factions were suspicious of each other and both leaders were in competition for world influence. Hitler and Mussolini first met in June 1934, as the issue of Austrian independence was in crisis. In private after the visit in 1934, Mussolini said that Hitler was just "a silly little monkey". After Italy became isolated in 1936, the government had little choice but to work with Germany to regain a stable bargaining position in international affairs and reluctantly abandoned its support of Austrian independence from Germany. On 28 October 1937, Mussolini declared Italy's support of Germany regaining its colonies lost in World War I, declaring: "A great people such as the German people must regain the place which is due to it, and which it used to have beneath the sun of Africa". With no significant opposition from Italy, Hitler proceeded with the Anschluss, the annexation of Austria in 1938. Germany later claimed the Sudetenland, a province of Czechoslovakia inhabited mostly by Germans. Mussolini felt he had little choice but to help Germany to avoid isolation. With the annexation of Austria by Germany in 1938, the Fascist regime began to be concerned about the majority ethnic German population in South Tyrol and whether they would want to join a Greater Germany. The Fascists were also concerned about whether Italy should follow National Socialist antisemitic policies in order to gain favor from those National Socialists who had mixed feelings about Italy as an ally. In 1938, Mussolini pressured fellow Fascist members to support the enacting of antisemitic policies, but this was not well taken as a number of Fascists were Jewish and antisemitism was not an active political concept in Italy. Nevertheless, Mussolini forced through antisemitic legislation even while his own son-in-law and prominent Fascist Count Galeazzo Ciano personally condemned such laws. In turn for enacting the extremely unpopular antisemitic laws, Mussolini and the Fascist government demanded a concession from Hitler and the National Socialists. In 1939, the Fascists demanded from Hitler that his government willingly accept the Italian government's plan to have all Germans in South Tyrol either leave Italy or be forced to accept Italianization. Hitler agreed and thus the threat to Italy from the South Tyrol Germans was neutralized. As war approached in 1939, the Fascist regime stepped up an aggressive press campaign against France claiming that Italian people were suffering in France. This was important to the alliance as both regimes mutually had claims on France, Germany on German-populated Alsace-Lorraine and Italy on Italian-populated Corsica, Nizza and Savoia. In May 1939, a formal alliance was organized. The alliance was known as the Pact of Steel, which obliged Italy to fight alongside Germany if war broke out against Germany. Mussolini felt obliged to sign the pact in spite of his own concerns that Italy could not fight a war in the near future. This obligation grew from his promises to Italians that he would build an empire for them and from his personal desire to not allow Hitler to become the dominant leader in Europe. Mussolini was repulsed by the Molotov–Ribbentrop Pact agreement where Germany and the Soviet Union agreed to partition the Second Polish Republic into German and Soviet zones for an impending invasion. The Fascist government saw this as a betrayal of the Anti-Comintern Pact, but decided to remain officially silent. Most of the historiographical controversy centers on sharply conflicting interpretations of Fascism and the Mussolini regime. The 1920s writers on the left, following the lead of communist theorist Antonio Gramsci (1891–1937), stressed that Fascism was a form of capitalism. The Fascist regime controlled the writing and teaching of history through the central Giunta Centrale per gli Studi Storici and control of access to the archives and sponsored historians and scholars who were favorable toward it such as philosopher Giovanni Gentile and historians Gioacchino Volpe and Francesco Salata. In October 1932, it sponsored a large Exhibition of the Fascist Revolution, featuring its favored modernist art and asserting its own claims to express the spirit of Roman glory. After the war, most historiography was intensely hostile to Mussolini, emphasizing the theme of Fascism and totalitarianism. An exception was conservative historian Renzo De Felice (1929–1996), whose four volumes and 6,000 pages of biography (1965–1997) remain the most exhaustive examination of public and private documents and serves as a basic resource for all scholars. De Felice argued that Mussolini was a revolutionary modernizer in domestic issues, but a pragmatist in foreign policy who continued the Realpolitik policies of liberal Italy (1861–1922). In the 1990s, a cultural turn began with studies that examined the issue of popular reception and acceptance of Fascism using the perspectives of "aestheticization of politics" and "sacralisation of politics". By the 21st century, the old "anti-Fascist" postwar consensus was under attack from a group of revisionist scholars who have presented a more favorable and nationalistic assessment of Mussolini's role, both at home and abroad. Controversy rages as there is no consensus among scholars using competing interpretations based on revisionist, anti-Fascist, intentionalist or culturalist models of history. ^ Federico Caprotti, "Information management and fascist identity: newsreels in fascist Italy." Media history (2005) [email protected] pp: 177–191. ^ Gigliola Gori, "Model of masculinity: Mussolini, the 'new Italian' of the Fascist era." International journal of the history of sport (1999) 16#4 pp: 27–61. ^ Lesley Caldwell, "Madri d'ltalia: Film and Fascist Concern with Motherhood." in Zygmunt G. Bara'nski and George N. Yannopoulos, eds. Women and Italy: Essays on Gender, Culture and History (1991) pp: 43–63. ^ Smith, Italy, pp 40–443. ^ Pollard, John F. (2014). The Vatican and Italian Fascism, 1929-32: A Study in Conflict. Cambridge: Cambridge University Press. p. 53. ISBN 978-0-521-26870-7. ^ Kenneth Scott Latourette, Christianity In a Revolutionary Age: A History of Christianity in the 19th and 20th Century: Vol. 4 (The 20th Century In Europe, 1961) pp 32–35, 153, 156, 371. ^ a b Kertzer, David I. (2014). The Pope and Mussolini: The Secret History of Pius XI and the Rise of Fascism in Europe. New York City: Random House. pp. 196–198. ISBN 978-0-8129-9346-2. ^ Pollard 2014, The Vatican and Italian Fascism, 1929-32: A Study in Conflict, p. 49. ^ Pollard 2014, The Vatican and Italian Fascism, 1929-32: A Study in Conflict, p. 61. ^ a b Zanini, Paolo (2015). "Twenty years of persecution of Pentecostalism in Italy: 1935-1955". Journal of Modern Italian Studies. Taylor & Francis. 20 (5): 686–707. doi:10.1080/1354571X.2015.1096522. ^ Joshua D. Zimmerman (27 June 2005). Jews in Italy Under Fascist and Nazi Rule, 1922–1945. Cambridge University Press. p. 62. ISBN 978-0-521-84101-6. ^ "Italy". www.edwardvictor.com. Retrieved 10 September 2017. ^ Hamish Macdonald (1999). Mussolini and Italian Fascism. Nelson Thornes. pp. 27–28. ISBN 9780748733866. ^ "The Straight Dope: Did Mussolini use castor oil as an instrument of torture?". www.straightdope.com. Retrieved 10 September 2017. ^ "Time Inc. Portal". pathfinder.com. 26 May 2012. Archived from the original on 26 May 2012. Retrieved 10 September 2017. ^ "greatoceanliners.net". greatoceanliners.net. Retrieved 10 September 2017. ^ Stephen J. Lee (2008). European Dictatorships, 1918–1945. Routledge. pp. 157–58. ISBN 9780415454841. ^ "IBS No. 10 – Libya (LY) & Sudan (SU) 1961" (PDF). fsu.edu. Archived from the original (PDF) on 26 September 2007. Retrieved 10 September 2017. ^ Davide Rodogno (3 August 2006). Fascism's European Empire: Italian Occupation During the Second World War. Cambridge University Press. p. 65. ^ "The Centralisation Of Historical Research (1935–1943)," Storia della Storiografia (2010), Issue 57, pp. 63–84.